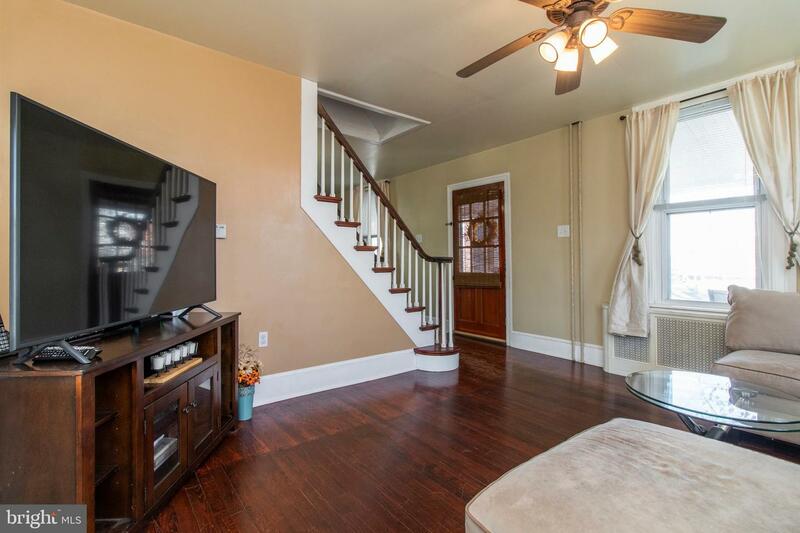 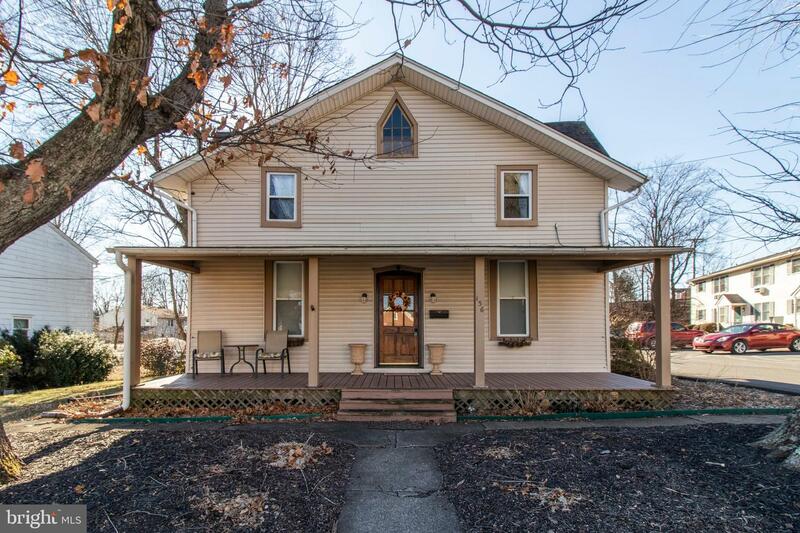 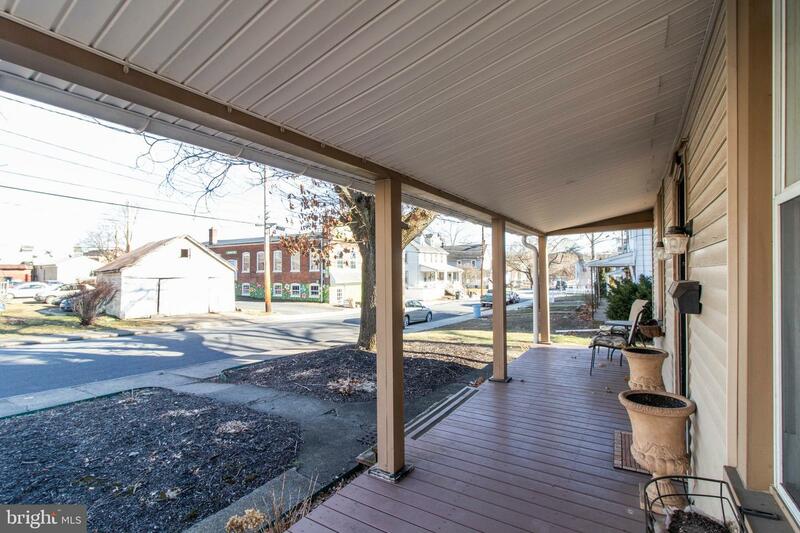 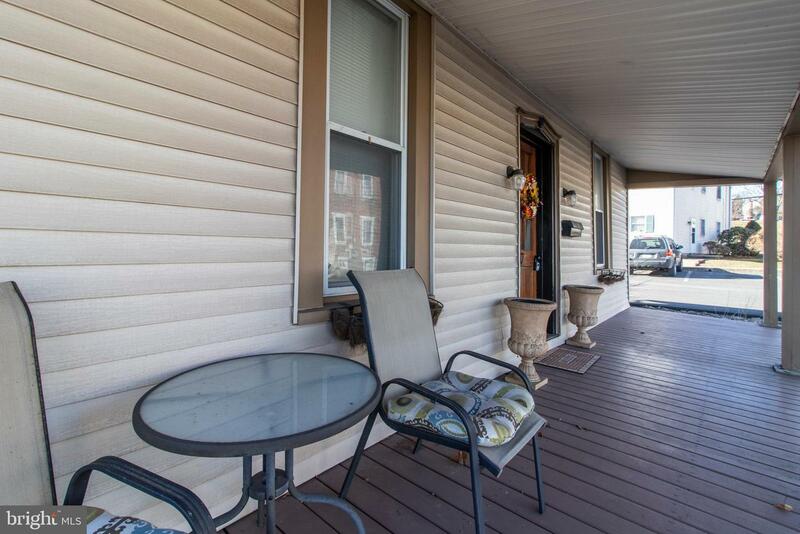 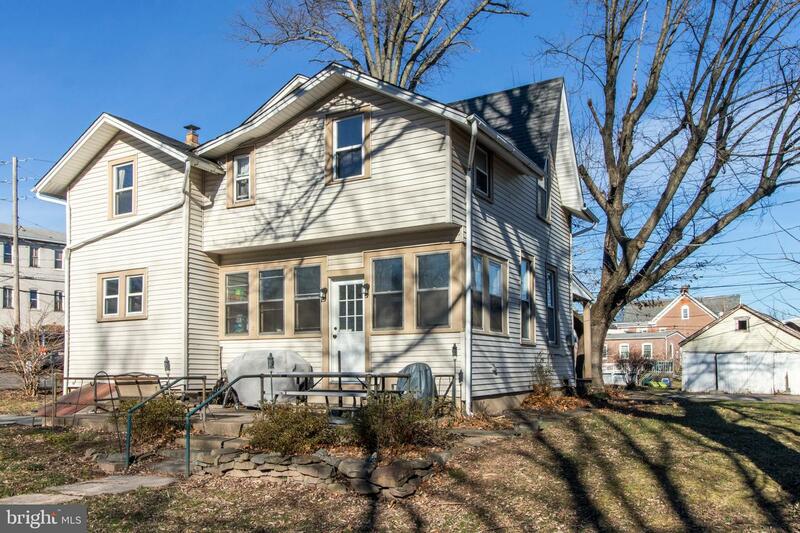 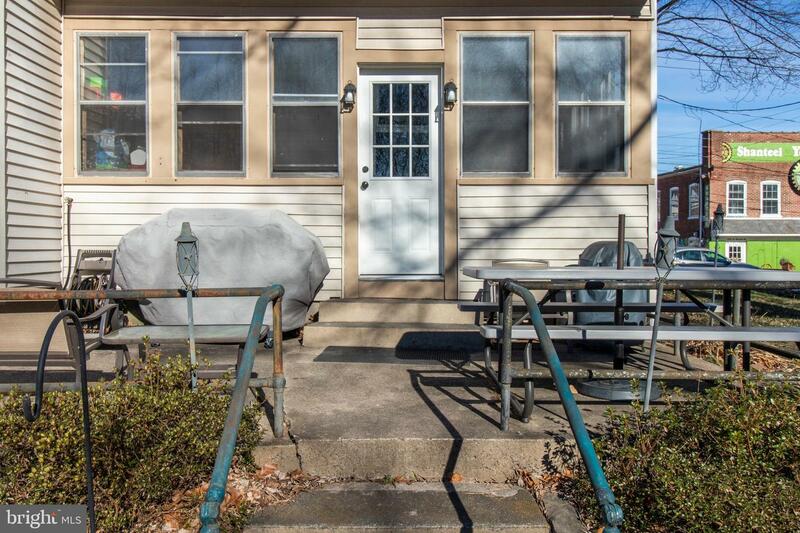 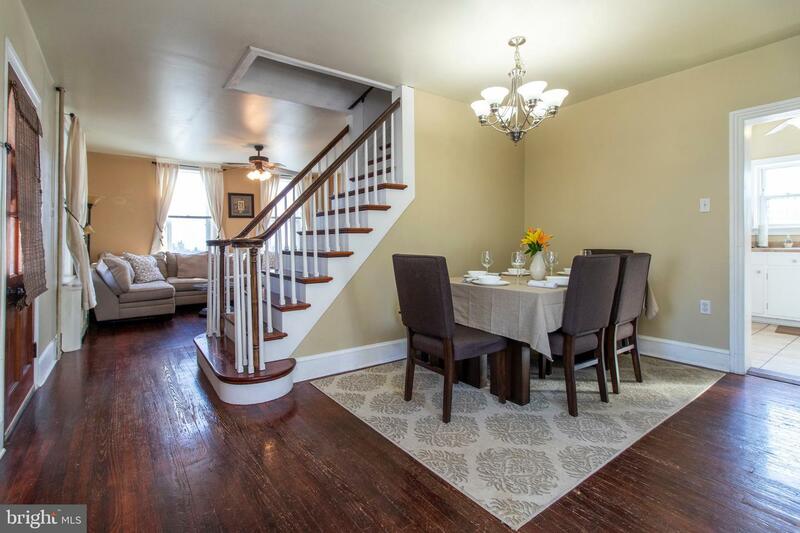 This Charming two story home offers 3 bedrooms, 1.5 baths and is located in the Heart of Sellersville. 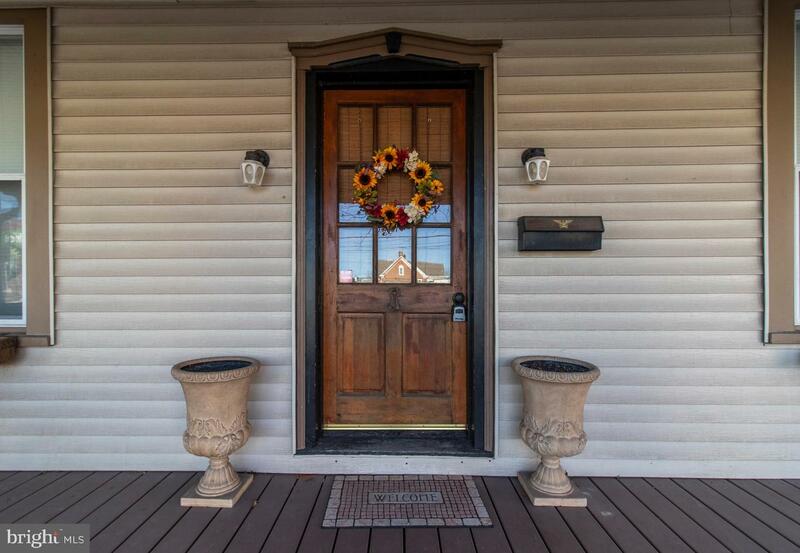 As you step up to the porch, you will feel a warm welcome! 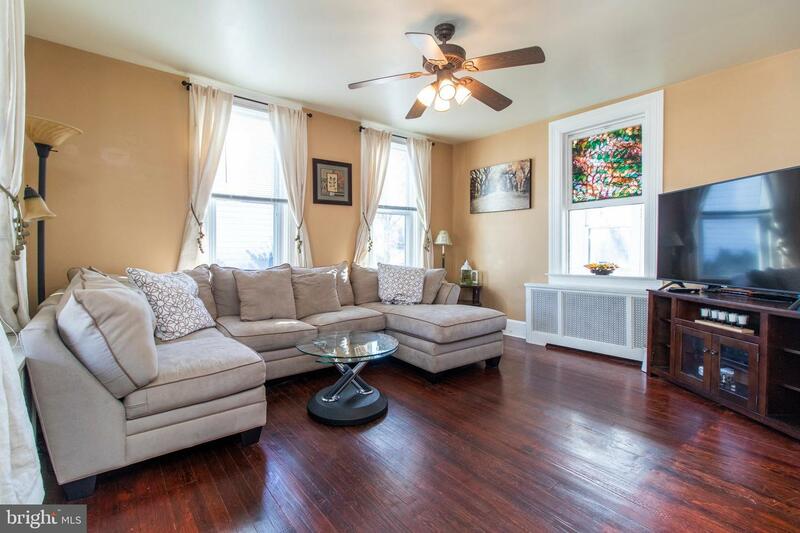 The original wood floors in the Living room flow into the dining room that is filled with sunshine from the vinyl replacement windows. 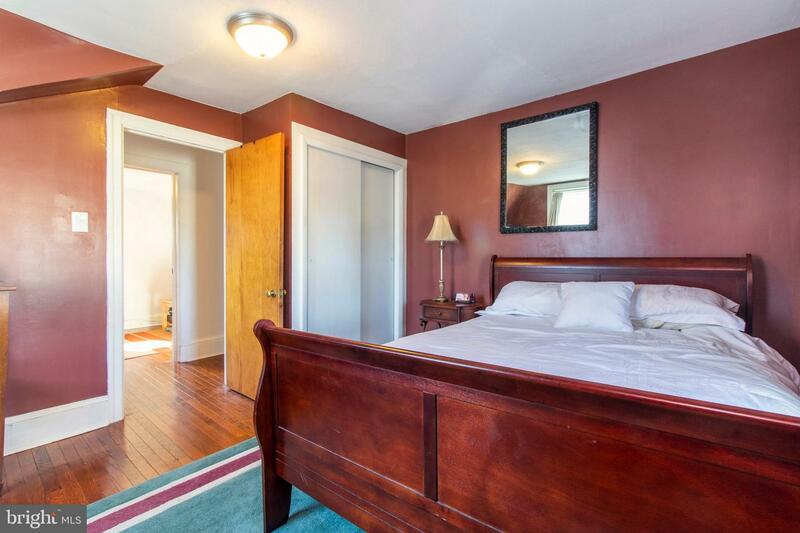 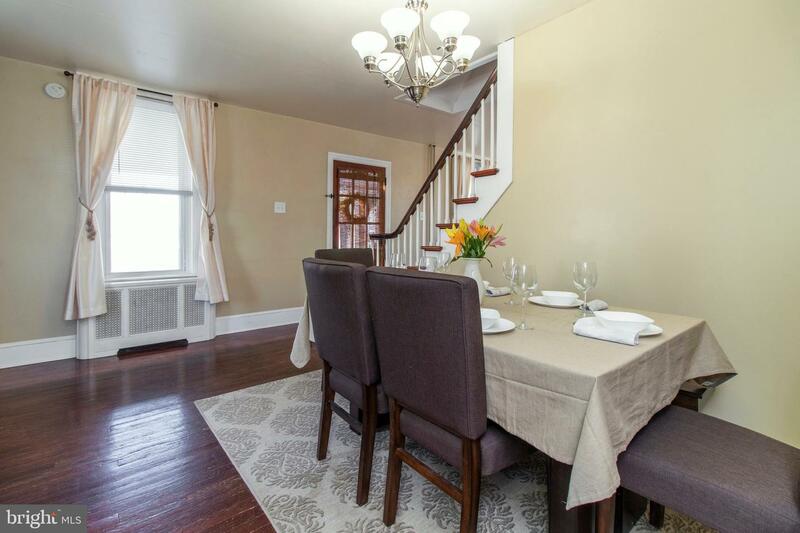 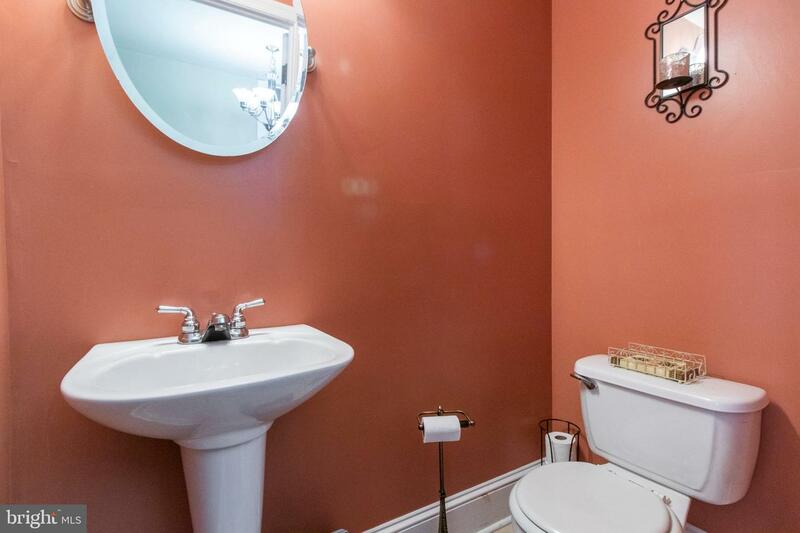 Vintage details include 8" baseboard moldings, and 8.5 ft ceilings on the first floor. 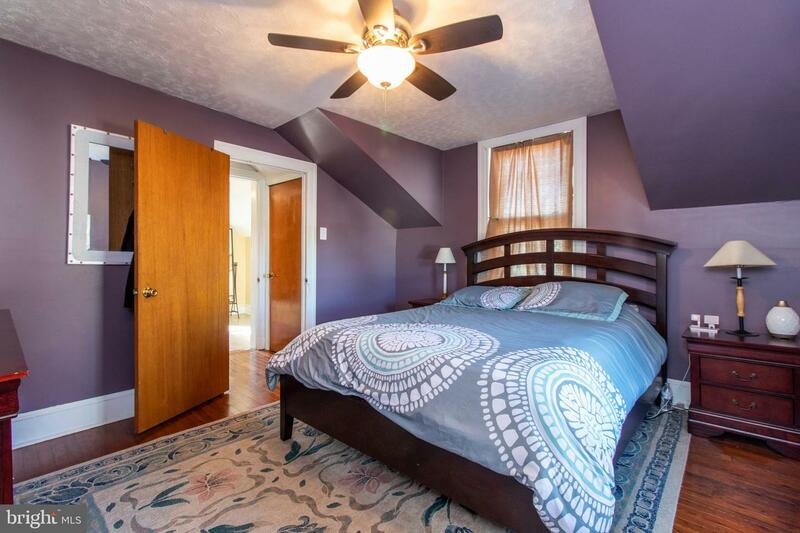 Also, the colorful stained glass window adds character too. 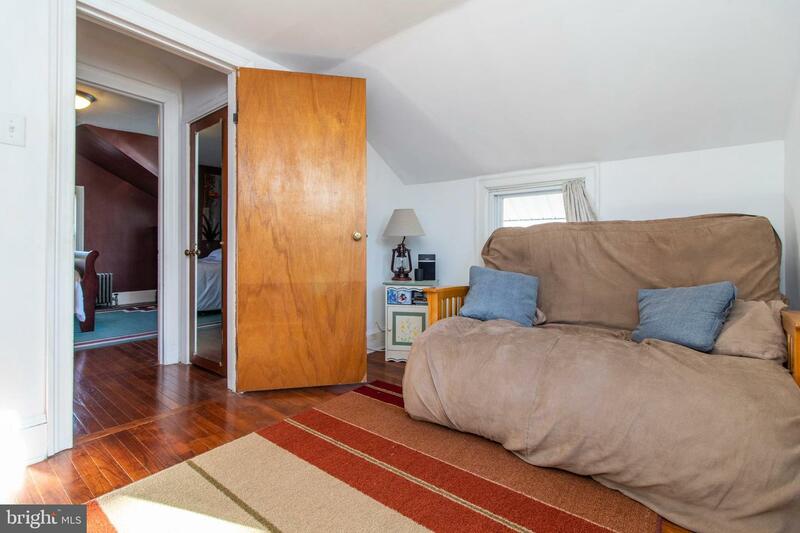 The built-in corner hutch is a favorite feature that provides storage and shelves for your collectibles. 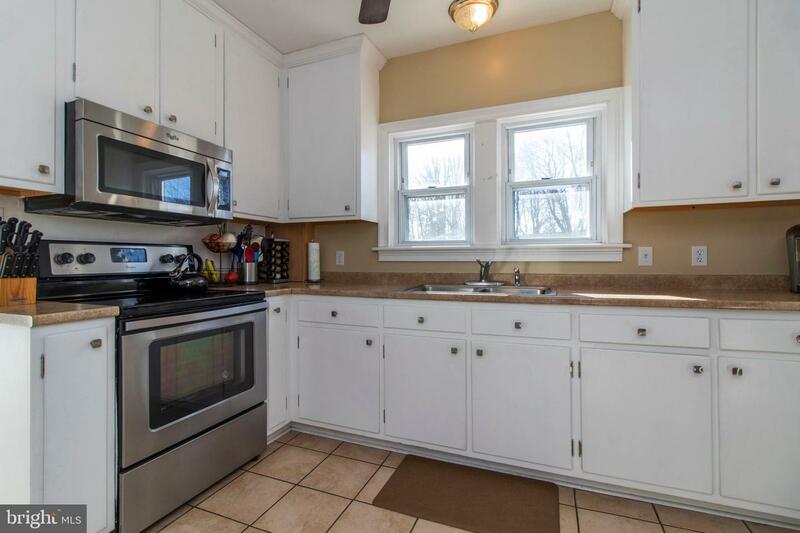 Enjoy preparing your meals in the kitchen with an abundance of cabinets and counter space. 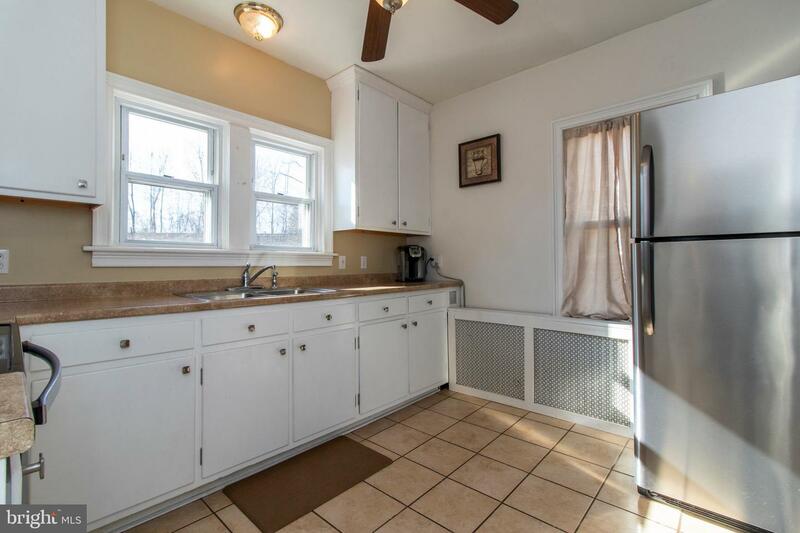 Features include a window over the double sink, built-in microwave, tile floor and stainless steel appliances. 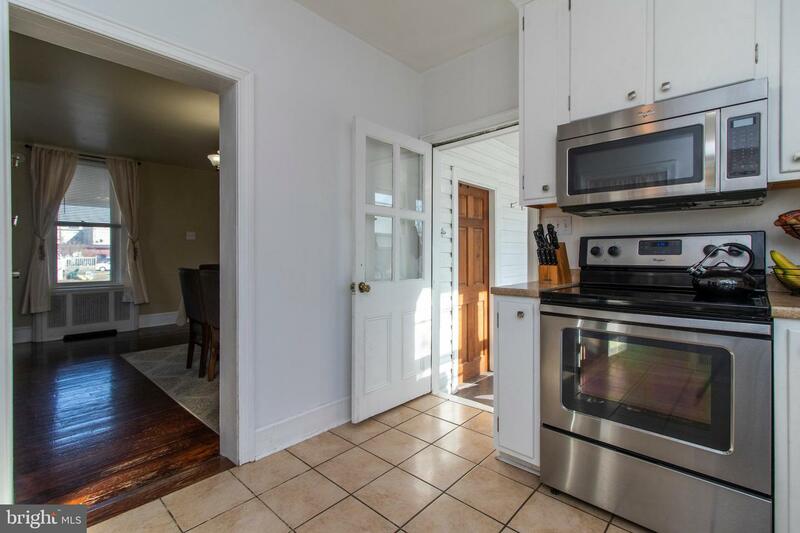 On this level you will also find the half bath and a huge laundry room with easy to clean tile flooring. 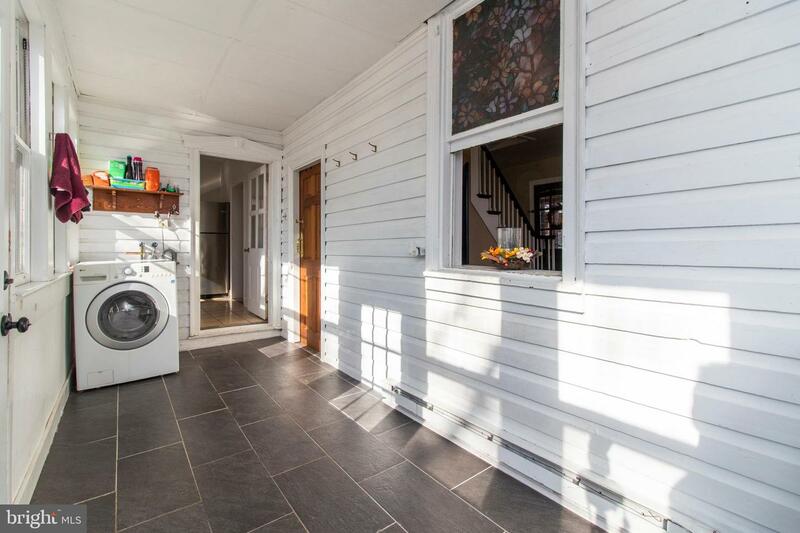 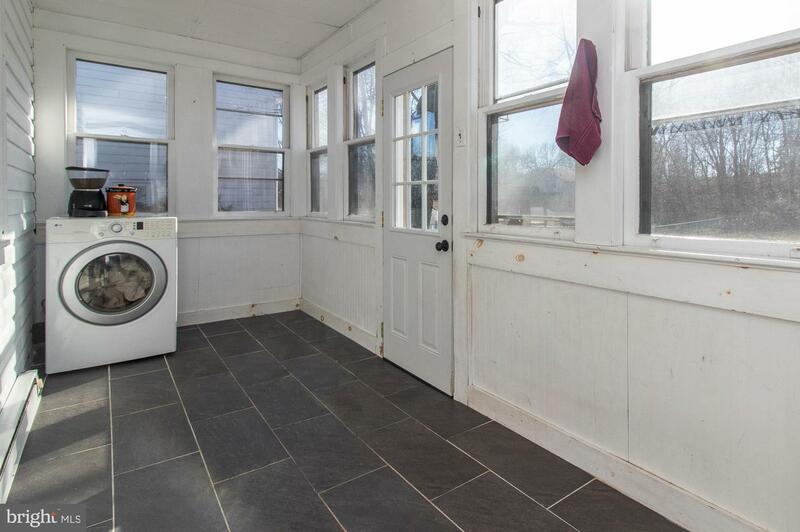 Having the laundry on the main floor is so convenient and the front load washer & dryer are included. 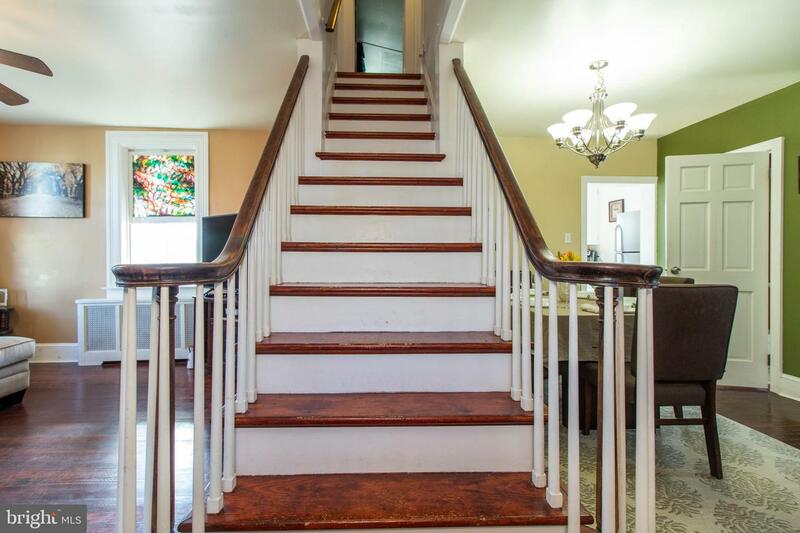 A custom staircase to the second floor takes you to the 3 bedrooms with hardwood flooring, 2 linen closets and a fabulous walk-in closet perfect for storage of clothing and other household items. 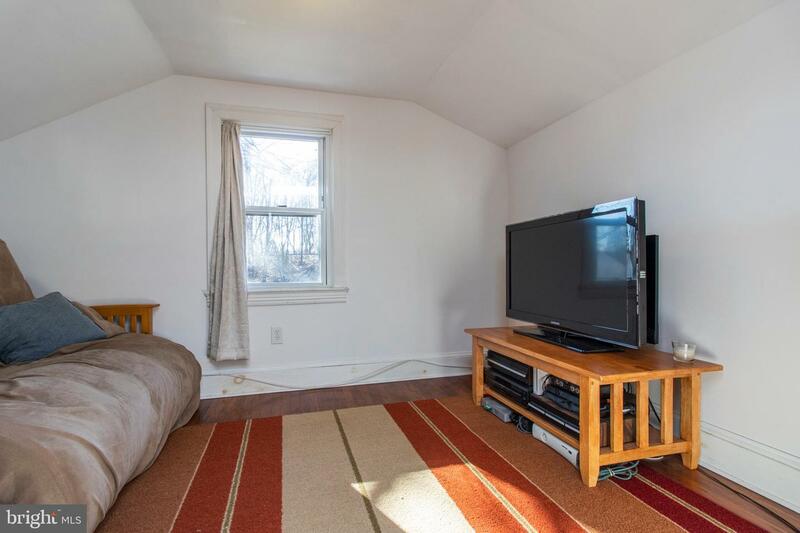 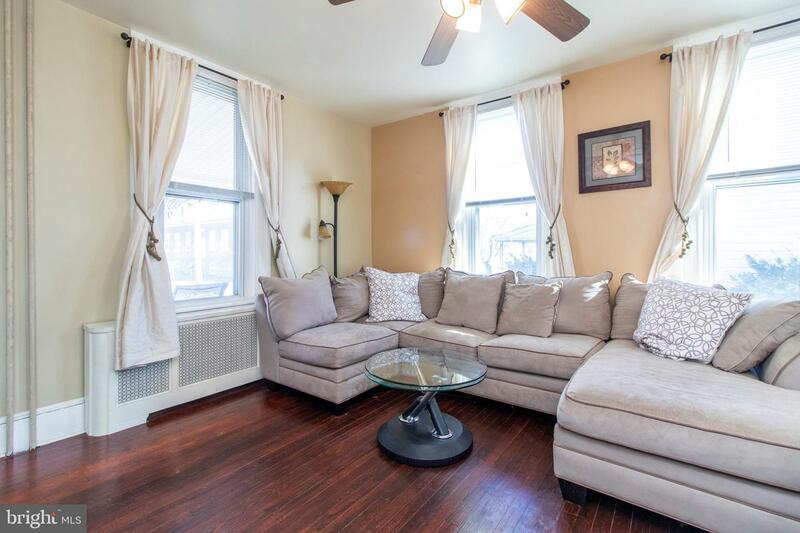 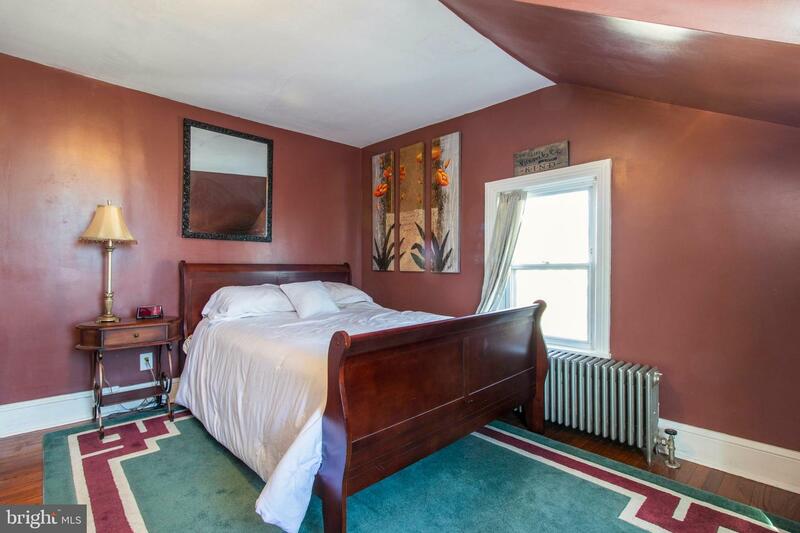 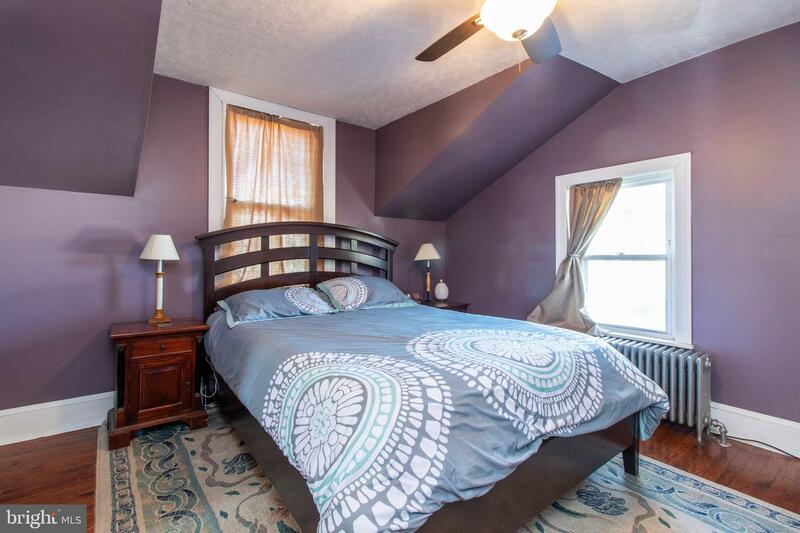 All three bedrooms have been tastefully decorated and offer plenty of closet space. 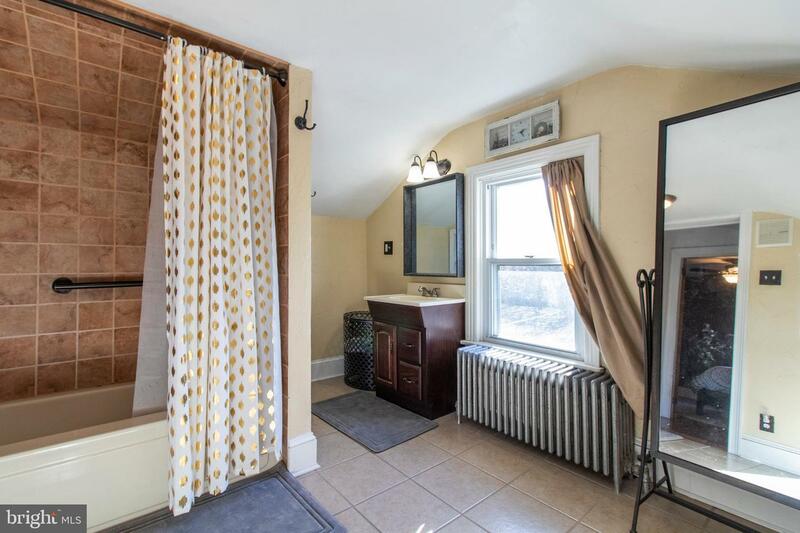 The hall bath features a custom tile shower/tub, tile floor, single vanity and built-in shelves. 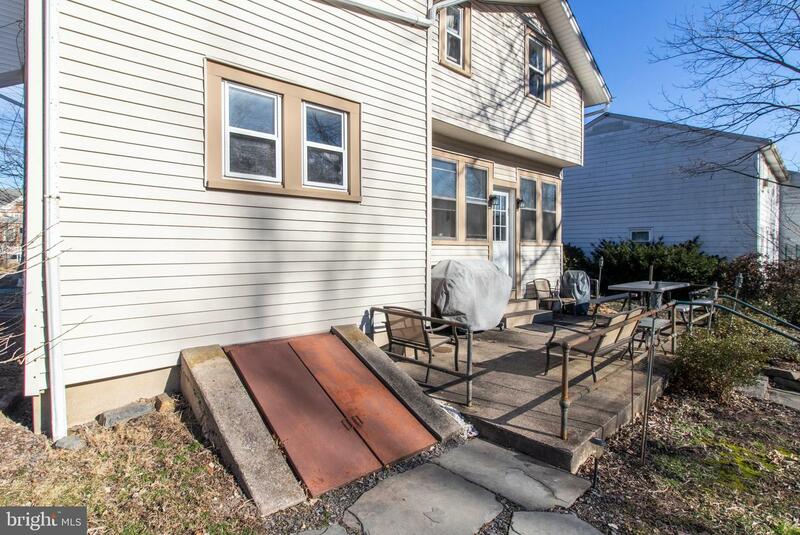 Step outside to the huge patio perfect to host your summer cook outs! 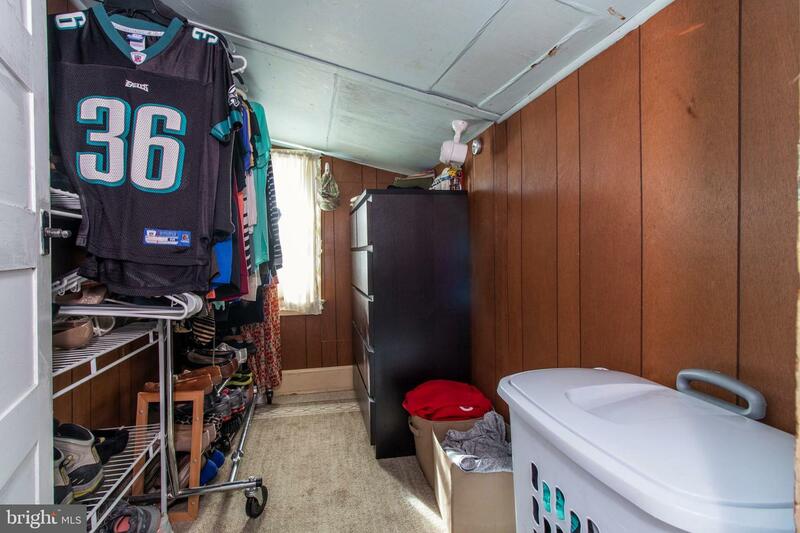 The storage shed keeps everything tucked away and there is plenty of driveway parking plus on-street parking too. 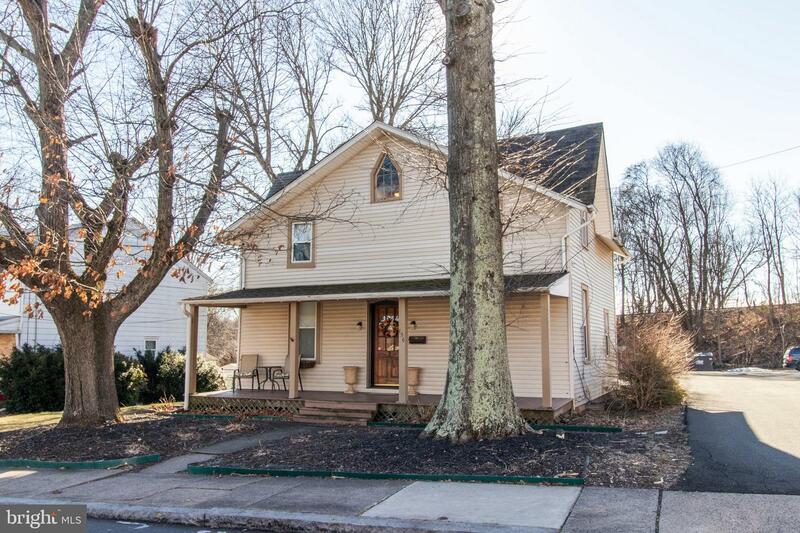 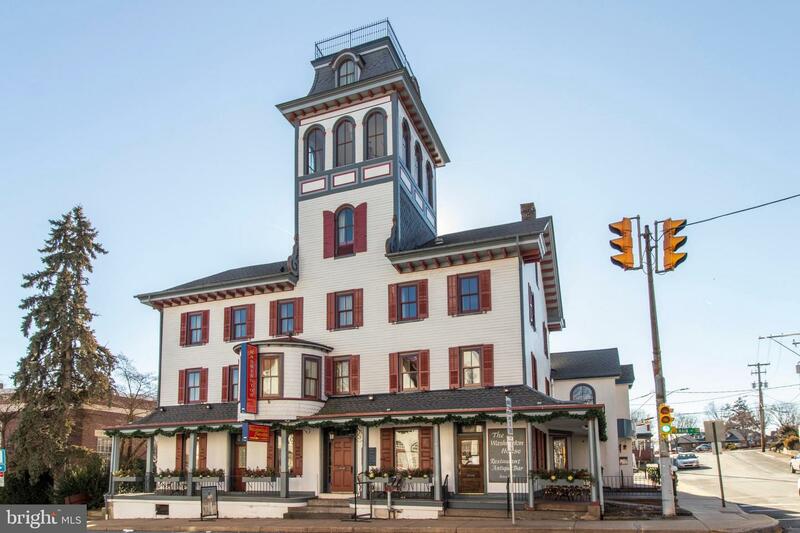 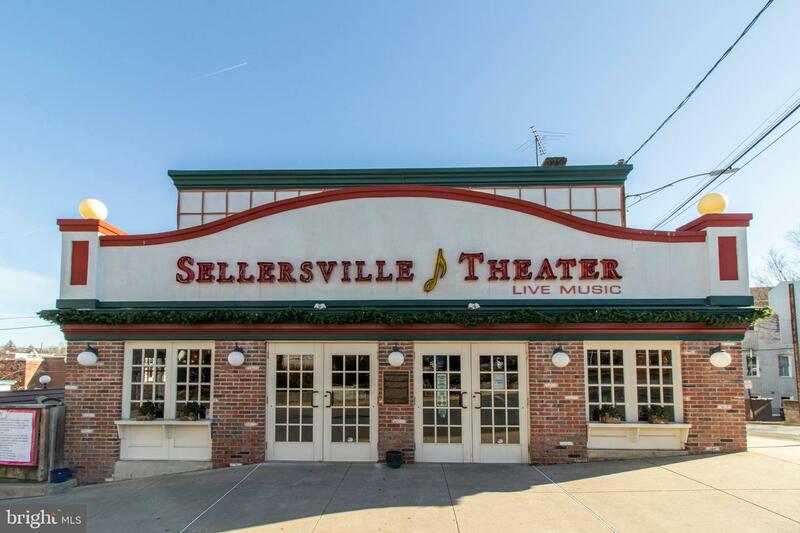 This is a must see home in a fantastic location and just steps away from the Sellersville Theatre, and Washington House. 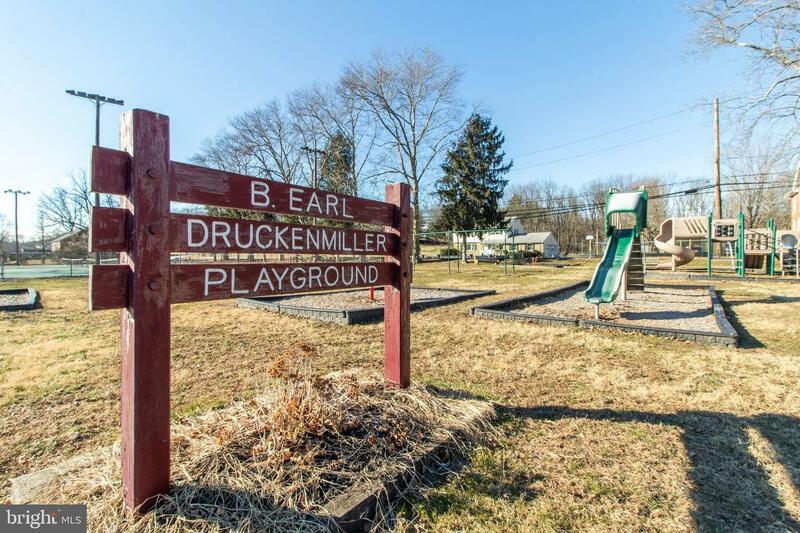 The local park with playground is a great place to get out of the house and take a walk. 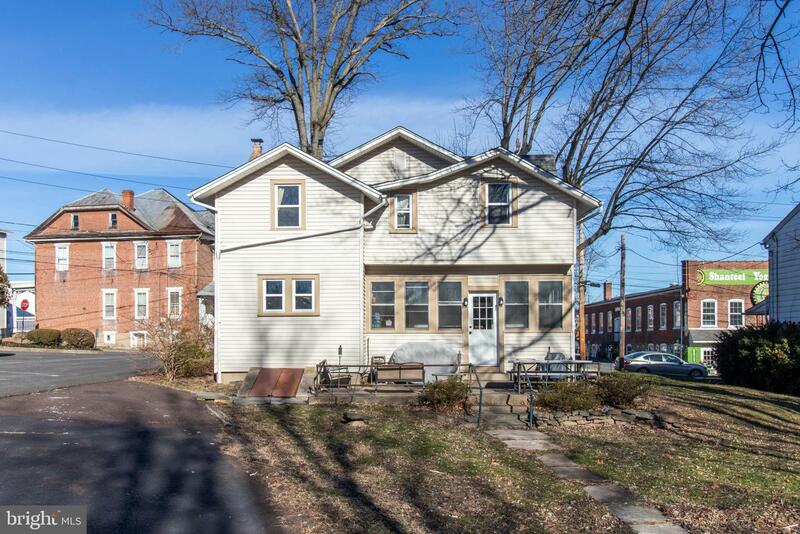 Call for details on how to buy this Home with USDA 100% financing.